Many startup food brands are choosing to launch and sell their products only online—such as through Amazon—as their sole retail outlet. Designing a food package for online is very similar to designing for traditional retail shelf space, however there are a few additional key aspects to consider. Here I’ve compiled a list of the top 8 things you need to know. Must be FDA compliant. The number-one misconception about selling online is thinking that because the product is not in physical stores, it doesn’t need to comply with FDA food labeling guidelines. However this is entirely untrue. All retail food packages, regardless of where they are sold, need to be compliant. Tip: Looking for an easy way to be compliant? Check out our FDA Food Labeling Guide Made Easy. Web copy must be FDA compliant, too. Another huge misconception is thinking that you can say whatever you want in the product’s website copy, which is another mistruth. Brands frequently come under fire from the FDA regarding claims made in their web copy that are not compliant. Tip: Our FDA Food Packaging Claims Made Easy brings all the main FDA claim rules together in one easy-to-understand article. Make it stand out at thumbnail size. Much like a traditional retail product needs to stand out among competitors on the shelf, your online-only package needs to stand out at thumbnail size among competitors in its category. 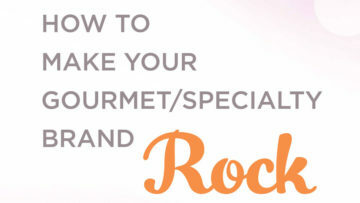 Make sure the colors and fonts work successfully at thumbnail size and that the title is big enough to read easily. Tip: Here are 5 Reasons to Know Your Competitors and How to Stand Out Without Risk. Supporting panel copy is still important. While consumers might not read the package’s secondary panels online, keep in mind that the package keeps selling once it’s in the home. Your brand story, product information and usage ideas are just as important as ever to have on the package.The consumer forms an impression when ordering online. When the product arrives, not only does the food itself need to perform as expected or better, but the packaging does as well. When brands pay attention to packaging details and care about the product’s impression after the sale, it shows versus those that don’t put in as much effort beyond the initial impression. More details and care lead to more connection with the consumer which leads to repeat sales and word-of-mouth referrals. Tip: Here are some pointers on How to Develop Your Brand Story and Why It’s Important. Make the thumbnail a 3D package shot. Don’t use a flat front image from the design file as the thumbnail and main image. It is much more desirable and appealing to see a 3D photo or realistic rendering. You want the online experience to be as similar as possible to buying in a store. A real product image sells much better than a flat, 2D image. Show all sides of the package. Use alternate images to feature the other panels of the package. If it’s a box, show all 4 sides. For a pouch, show the back panel. For a canister or jar/bottle, show side or back panels, whichever is applicable. Make sure these alternate images are easy to read for the fine copy when enlarged. Consumers want to see ingredients, nutrition facts, brand story, etc.—even if they are also listed in the web copy. Again, make the experience as similar as possible to a physical retail experience. These alternate images can be 3D or flat, whichever is easier to read. Feature supporting copy on the web page. Here’s where you have a distinct advantage to selling online versus in a physical store. Your web page should have additional copy featuring brief description, key benefits, longer description further down, ingredients, usage ideas, and brand story. Don’t make this content too long though—much like in a retail store, there is a small window to make the sale so keep the text brief, to-the-point and use bullets for key callouts. Tip: You can develop this copy the same way you develop copy for the package, or use what you have on the package. Find out What Copy Works Best on Food Packaging. Consider using a video. 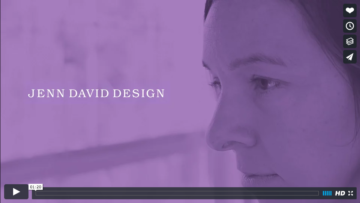 A short 1-minute video together with the web copy can help sell the product even more. Not everyone will watch it but for some it can be a convincing factor. You might include spoken testimonials/reviews from actual consumers, or overview the key selling points and usage ideas. It needs to be professional-quality video though—amateur or poorly done video can have a negative effect. Could the online product ever end up on a retail shelf? If so, make sure it works for both. In general you don’t need to do any specific modifications for online-only packages, but as shown above, there are additional aspects you need to consider. For any package, whether online or physical retail, be sure to see our Checklist for a Successful Food Package to make sure you’re not leaving anything out before launching. 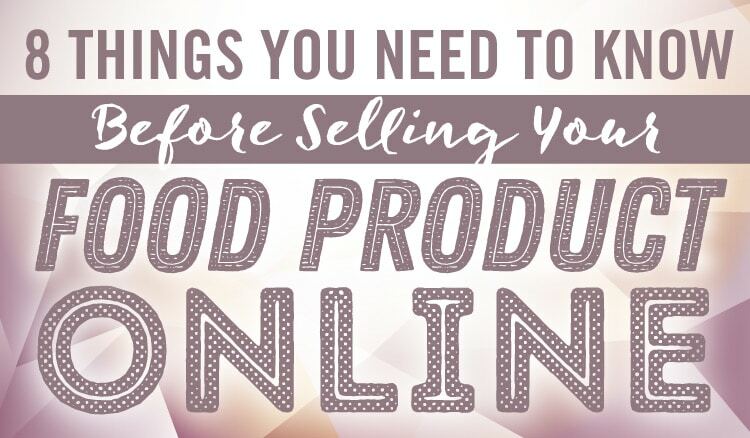 There really are a ton of things that you have to know in advance if you plan to sell food online. One of the important things is making sure that you show the whole package in product shots. That way customers know exactly what they’re getting before they place the order.